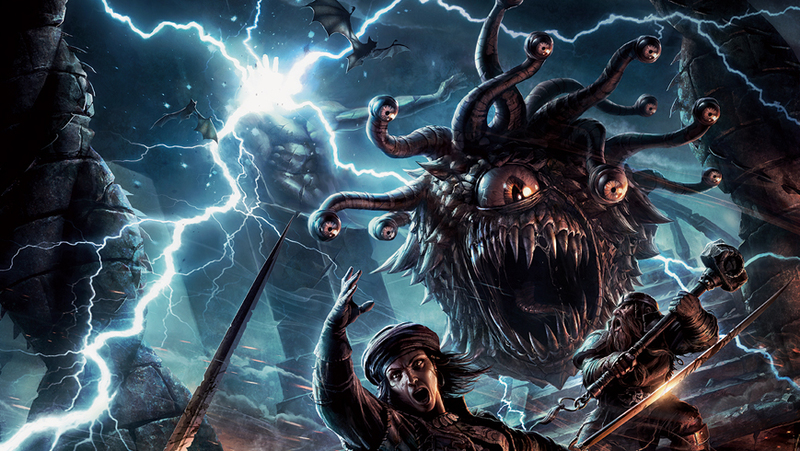 Mordenkainen’s Tome of Foes is the latest book for Dungeons and Dragons 5th Edition. 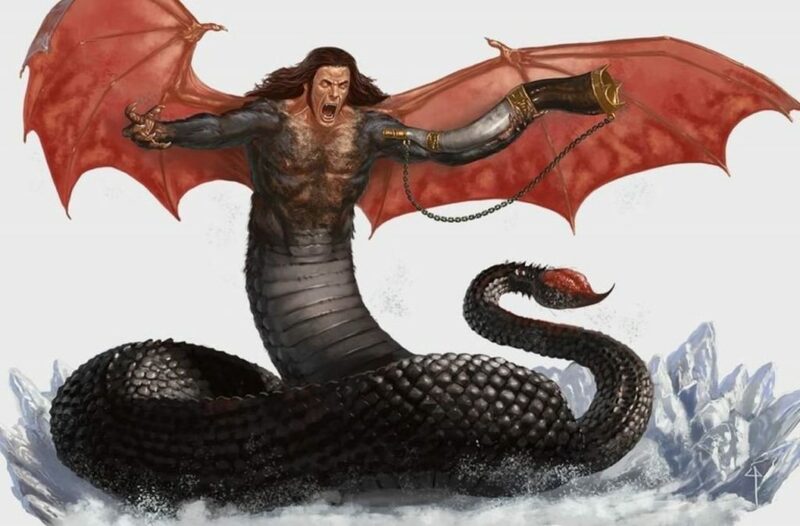 It’s named after the Wizard Mordenkainen, a character once played by DnD creator Gary Gygax before becoming a major character within the DnD lore. You may have also heard of him through the many spells named after him in earlier editions ( I once had a bad experience with his disjunction spell). Now the wizard’s name is headlining the latest release, which details the histories of many of the creatures in DnD. But, is Tome of Foes good? Or is it a meaningless expansion only put out to make a profit? Most of the archdevils are featured within this book as fully stated out monsters. A majority of the book details additional information about the DnD lore, specifically the lore behind many of the creatures in fang including Elves, Dwarves, and the relationship between Demons and Devils. It provides a lot of context and world building, but also leaves enough room for a GM to add in their own flair to the lore. The Blood War chapter was probably the best of these, as it provides in-depth details on the Nine Hells and their masters, and sheds some light on the long bloody history between Devils and Demons. It’s everything a GM would need for a journey through the Hells without sacrificing flexibility. 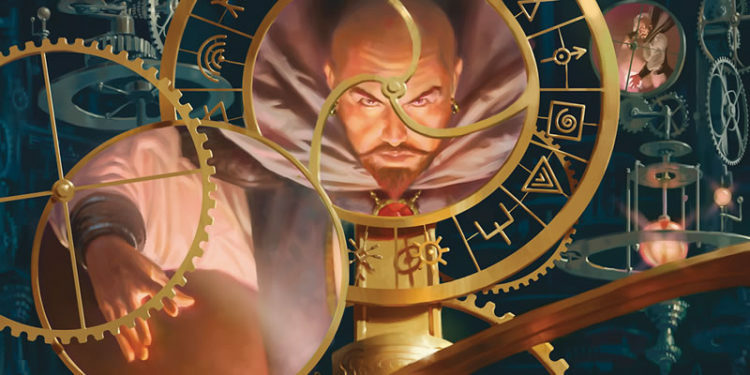 Like with the previous two releases, the Titular Mordenkainen offers commentary throughout the book in the form of sidenotes. However, compared to Volo and Xanathar’s notes, Mordenkainen’s are the dullest of the three. His commentary lacks the dual conflicting notes Volo’s Guide had or the twisted sense of humor Xanathar put in his book; instead, most of his commentary feels like notes Mordenkainen wrote down for a school research paper on the multiverse. The cursive writing used in these notes isn’t helpful either, as it often slows down the reading process. I was honestly a little disappointed by the new character options in this book. The Tome of Foes only offers one “new” race in the form of the Gith — a returning race from past editions — with the other new character options merely being subtypes for Elves and Tieflings. The Deep Gnomes and Druegar are just copied from the Sword Coast Adventure Guide, with some additional lore and flavor text. Despite a section of the book talking about Halflings in the multiverse, no new Halfling options were introduced; not even a reprint of the Sword Coast Ghostwise Halfling. Half Elves didn’t get much treatment either, their existence relegated to one footnote in the book. I don’t even need to say anything. This picture speaks for itself. The big draw of the book however is the new monster stats in the final chapter. This bestiary has over 100 pages worth of monster stats both old favorites like the Grey Renders and new monsters like Oblex. 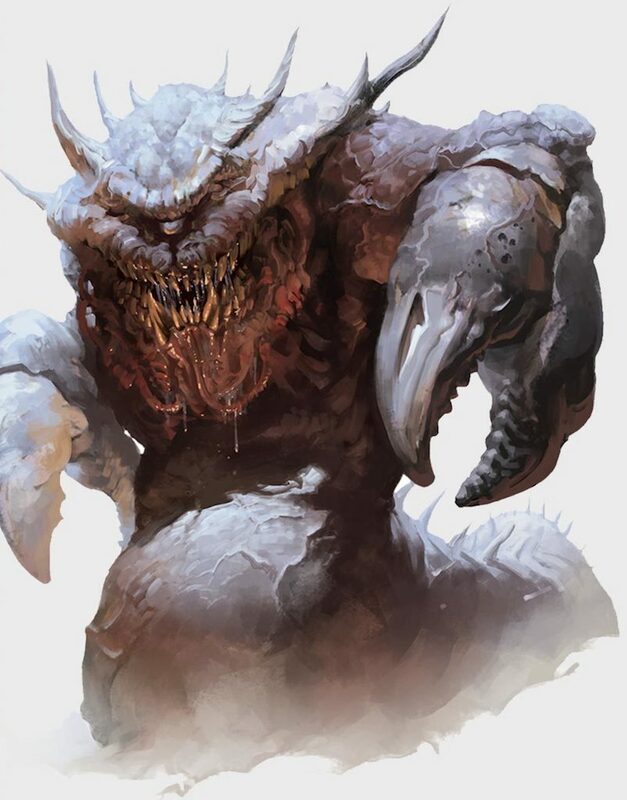 A number of these monsters are reprinted from previous 5E adventure modules like Elemental Evil and Out of The Abyss. Despite the reprinted content a majority of the bestiary is new 5E material. It also gives GMs more monsters for use in high level encounters, something that the game needed more of. These powerful enemies could easily wipe the floor with weaker adventurers but for a party of hardened players they offer a good challenge. The Giff was my personal favorite monster from this book. 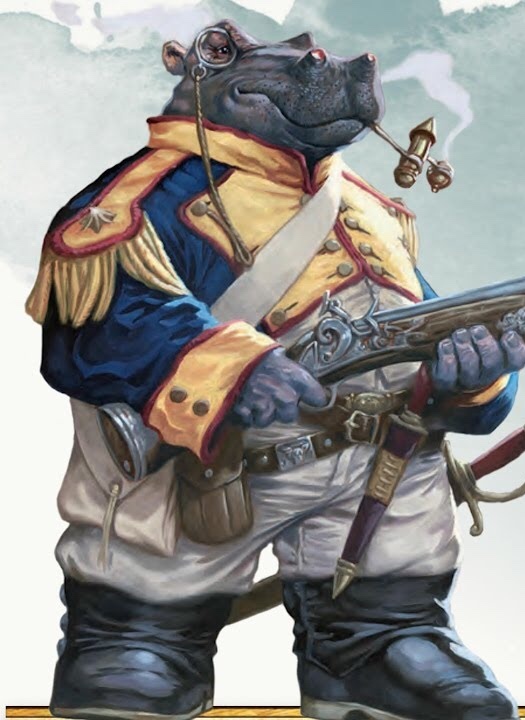 Originally from the Spelljammer campaign setting, the Tome of Foes reinvents them as a group of militaristic Hippo People who traverse space and time; hiring themselves out as gun toting mercenaries that love blowing things up. I’m actually disappointed that they didn’t make the Giff a playable race. People buying this book looking for more monsters won’t be disappointed, though. Overall, Mordenkainen’s Tome of Foes is a good book. 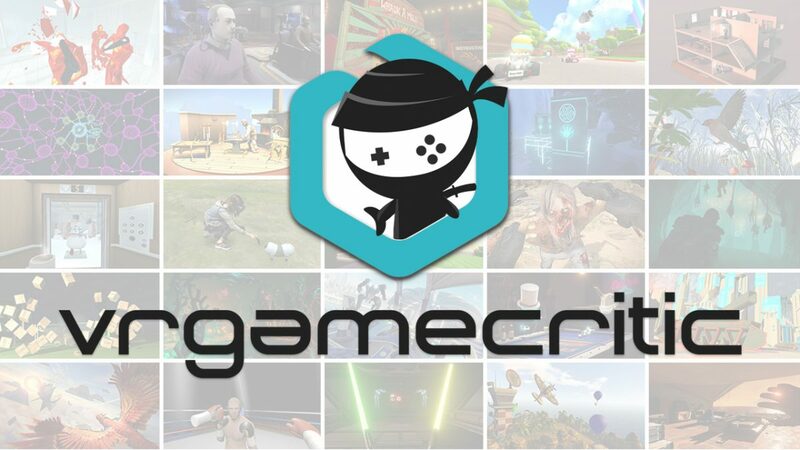 It’s full of content that fleshes out aspects of the DnD multiverse in your campaign, and gives a wide variety of new baddies for players to fight. However, it doesn’t have much else going for it. There isn’t as much content for players, and the flavor Mordenkainen adds is bland compared to Volo or Xanathar. This definitely felt like a GM book more than a player book. It doesn’t feel as necessary as Xanathar’s Guide, but if you GM 5E it’s a good book to have if you need reference material for the society of non human races or want to spice up your combat with a fight against some gun toting space hippos.